Add your two cents if you want to. Re: 2.3.8 has been released! I second this! The most annoying aspect of 2.3.7 were mortars damaging own structuces between the mortar and the target. The second most annoying thing were bots firing into the ground on almost, but not entirely flat terrain. rockachu2 wrote: if it is a straight projectile, then find the highest point of the terrain in the way and see if it interrupts the line of fire. if it curves, then plot the curve on a 2d graph and place the terrain on it, and if they intecept then the projectile won't hit. Even if this is a joke, I think it's how direct fire (drawing with the red line) and indirect fire (drawing of shooting over the mountain) should work. Heretic 2.3 improver and proud of it. In this case I didn't even need to enter his base to target his structures (previously, targeting the factory shown under seige, attacking units would have tried to enter the base. here they just pull up chair near the edge of the cliff.) Most units fired through the mid height of the cliff face. As long as this game is a top-down view of a 3D world (yes, yes, you can rotate the view; but people do not have time for that), such expectations will never be met. If meeting such expectations is important, we need to implement the Starcraft2 solution where cliffs block projectiles from lower heights - period. I think this is a brilliantly simple solution to a very complex problem, but it is not exactly in the Warzone spirit of true 3D physics. Hmm... I'm not sure what the height of the cliff or rotating the view (your right, this is rarely done) has to do with this. The anomaly I was pointing out in both screen shots is that turrets were firing through cliff faces/terrain (visually). I assume ilulvalar's patch would stop both these circumstances. I'm I loosing it, or is this behavior opposed to v2.3.7? IIRC This is the part of the "Corvus patch" that most people thought was a good, and logical change to the game. By my recollection It was the unadvertised change in the targeting of all turrets/hardpoints that received complaints. I agree with your opinion on SC2. 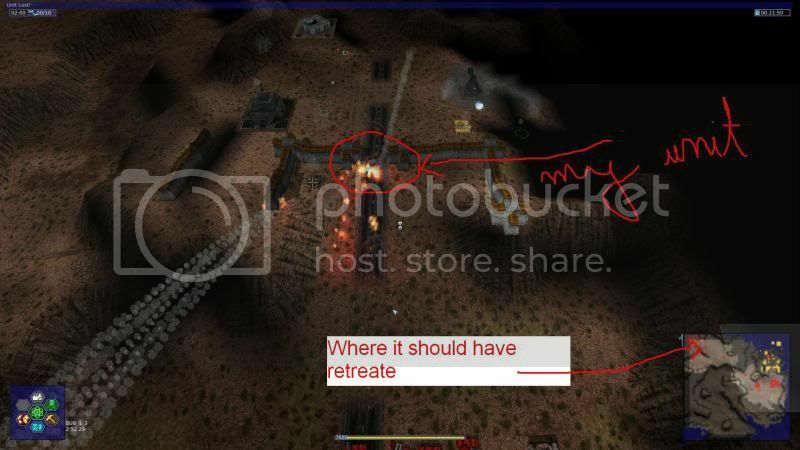 However in the screenshots shown there's missiles being fired straight through solid rock. I can't see that being "in the Warzone spirit of true 3D physics" either. 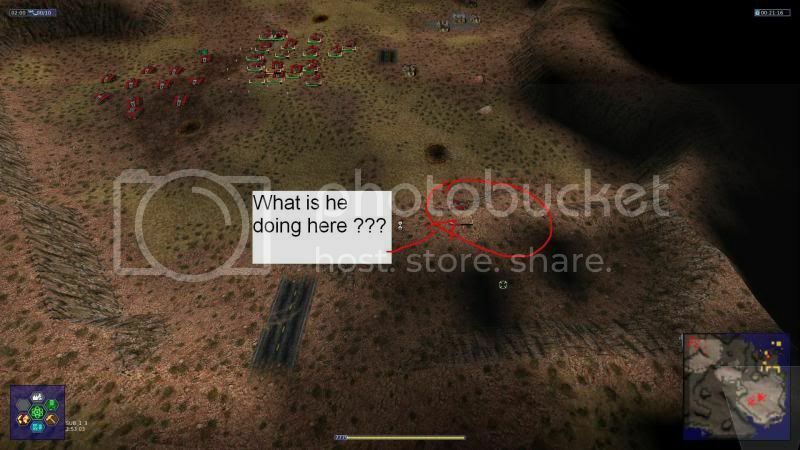 The problem shown in the upper screenshot is units on low ground firing at buildings on middle ground, while there's very high ground in between. That IMO should be possible using indirect fire only. "Problem with the DyDo AI mod. Whenever I try to launch up a skirmish game (dont matter which map), the game just exits without any error. The mod is the one bundled with the 2.3.8. installer. Launched a game without any mod, and now Im experiencing problems with the wather height on non bundled maps. Its not water spikes like in an earlier version, just simply the water isnt at its suposed height." For me it is like, the game can not be loaded in fashion Dydo if I make a record before the game (in single player of course). Can I just ask why when I attempt to build it on my Ubuntu, It wants me to install asciidoc, which including it's deps, needs 500mb of the remnants of my download quota? I would much rather deal with the annoyance of my units shooting the ground than the stupidity of shooting through the ground. P.S. I change the angle regularly, the curvature in the ground can be a distinct advantage, shooting through ground destroys that advantage. NRoach44 wrote: Can I just ask why when I attempt to build it on my Ubuntu, It wants me to install asciidoc, which including it's deps, needs 500mb of the remnants of my download quota? asciidoc is used to convert the quick start guide and manpage. If you use a tarball, the converted docs are already included, you can just remove asciidoc from the depends in debian/control, and you might need to copy them manually where dpkg-buildpackage expects them to be. We want information... information... information. sensor wrote: For me it is like, the game can not be loaded in fashion Dydo if I make a record before the game (in single player of course). - using specific unit builds and firing the LSat crashes the game on several maps and doesnt leave any error logs.